1. Click the appropriate button here to install the free magazine app on your tablet or phone. 2. 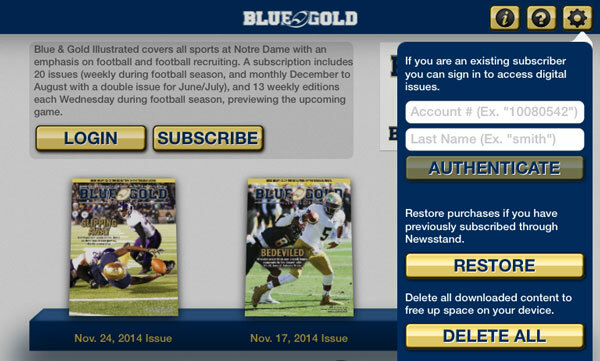 Open the Newsstand app on your tablet’s main screen and tap the BLUE AND GOLD ILLUSTRATED cover. 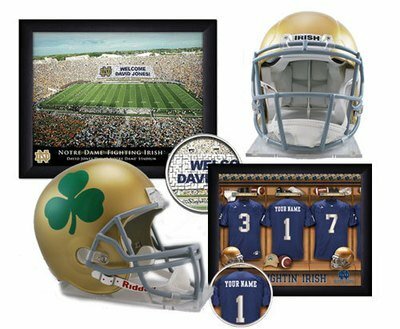 These instructions are for subscribers that purchased directly from BGI/Coman Publishing for print and/or digital delivery. See the second tab for subscribers who purchased through the newsstand app (Google or Apple). Enter your account number and last name (in lowercase) and then tap AUTHENTICATE. Tap the cover you wish to view and choose if you wish to read it online or download for offline reading (note: the interactive features will only work with the online version). IF YOU PURCHASED A SUBSCRIPTION THROUGH THE TABLET NEWSSTAND: You will not have a username. If you need to login, simply tap the RESTORE button and enter your Apple or Google ID and password. NOTE: that you will only have access through the app (not computers or other devices.) For cross-platform access, subscribe directly with BGI.